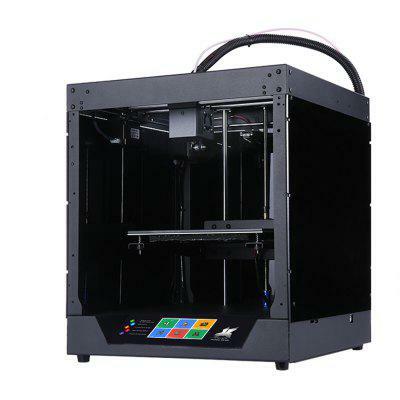 Printing is made of 1.5-3mm sheet metal, and the frame structure is very stable. Printer adopts 4.3 inch color touch screen, larger screen to make operation more convenient and simple. Printer adopts acrylic shell to make printing environment more stable. Printer adds a filament loss resume function, printing process don’t need to worry about filament exhausted and print failure. Printer adds a power loss resume function so that you don’t have to worry about a sudden power cut. 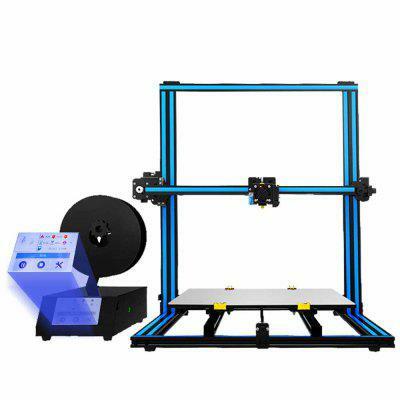 Printer Z shaft screw adopts anti backlash spring and end bearing to make the hot bed running more stable and improve the printing quality. Hot bed is made of sticky coated glass platform to make the hot bed more flat and sticky. The parts of printer 90% have been completed and only need 10 minutes to complete the installation. Printer adapts 350W 24V power supply, so that the printer can be maintained for longer printing time. Printer has a larger print volume of 230x230x210mm.